My kid is obsessed with Halloween. When people hear me say that he has loved the holiday since he was only nine months old, they often respond with, “Ohhh…of course he does because it’s all about candy!” Nope. I purchased a few Halloween books just before his first Halloween and he became fixated. The same books still remain some of his favorites two years later. Halloween isn’t just focused on come fall, its a year round interest for my little guy. His excitement for Halloween has nothing to do with the candy. That’s just a random element that he is aware of but it doesn’t fuel his love. One key component? Pumpkins. Ryan is completely fixated with pumpkins. 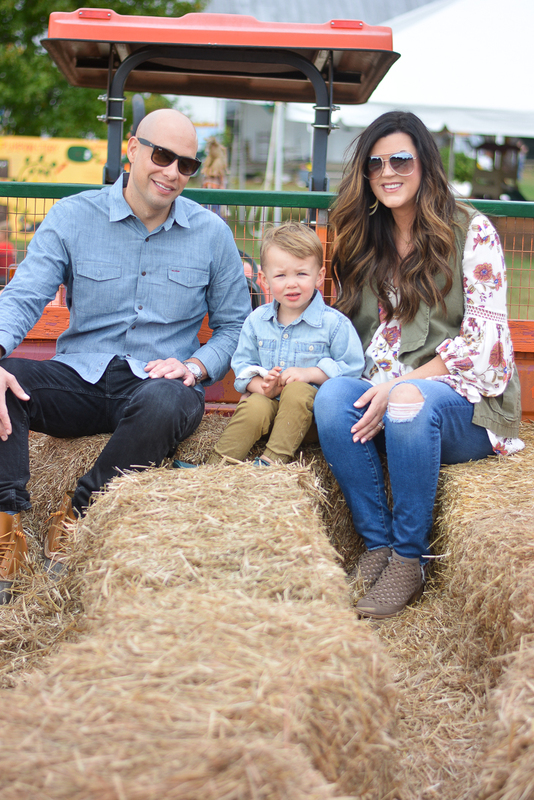 Last year, we ended up at that pumpkin patch several times because it proved to be such a rewarding activity for us as a family. David and I couldn’t wait to recreate that experience again this year! 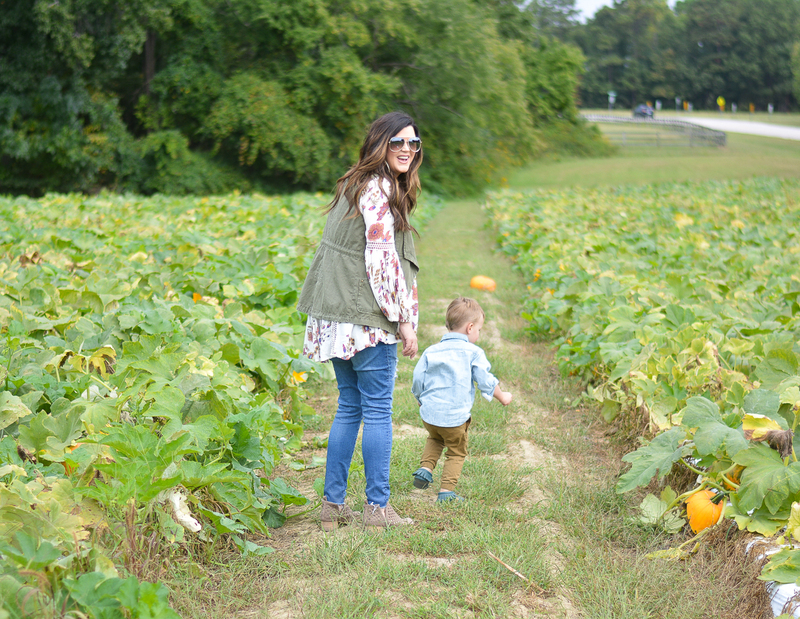 Our favorite little local pumpkin patch opened this past week so we headed out as soon as we had time. 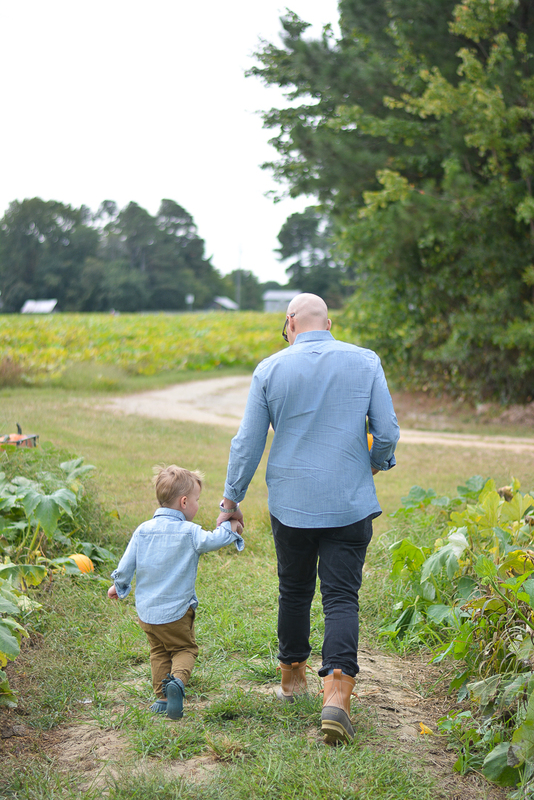 We love going to Upchurch Farm in Cary, NC. It’s not overwhelming like some of the massive patches which feel more like fairs. 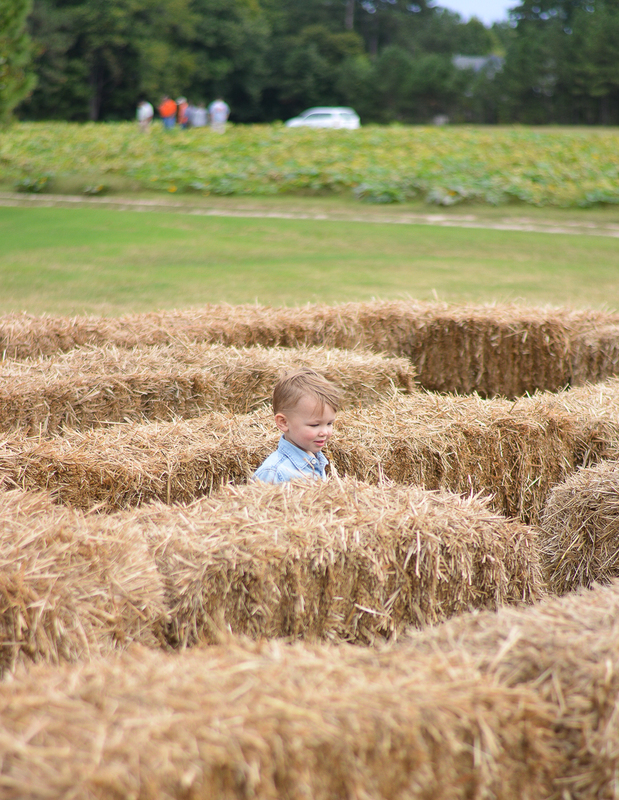 There is a corn maze, a corn kernel pit, animals, a jump pad, a straw playground and they offer hayrides. That is perfect for us at this point in Ryan’s life. 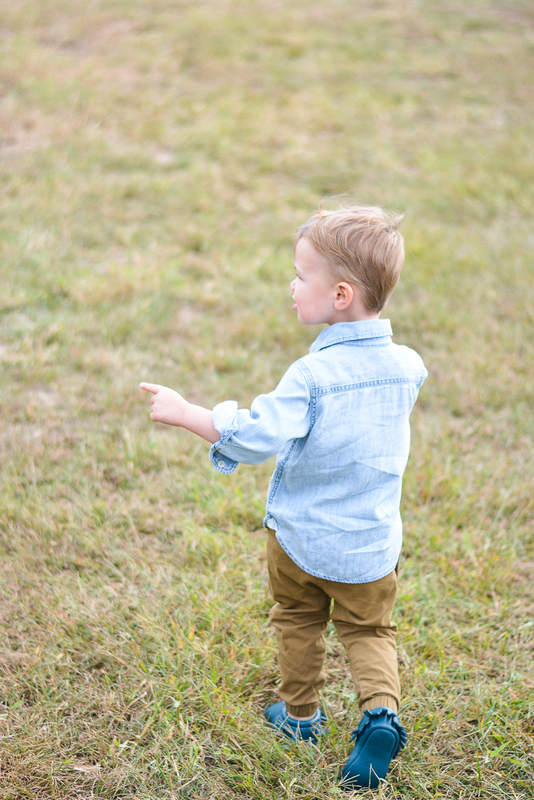 When we told Ryan that we were heading to the pumpkin patch, he began asking us questions non-stop. 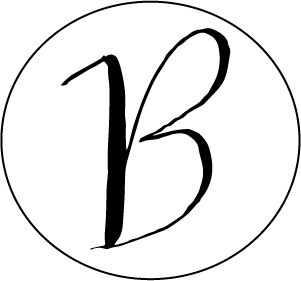 (Yep, we have officially entered the bazillion questions a day phase.) David and I were so psyched that this was just as exciting for Ry as it was last year, if not more. We started the morning out by heading to the patch to find some pumpkins. Because Ryan was so much older this year, he was able to more involved. 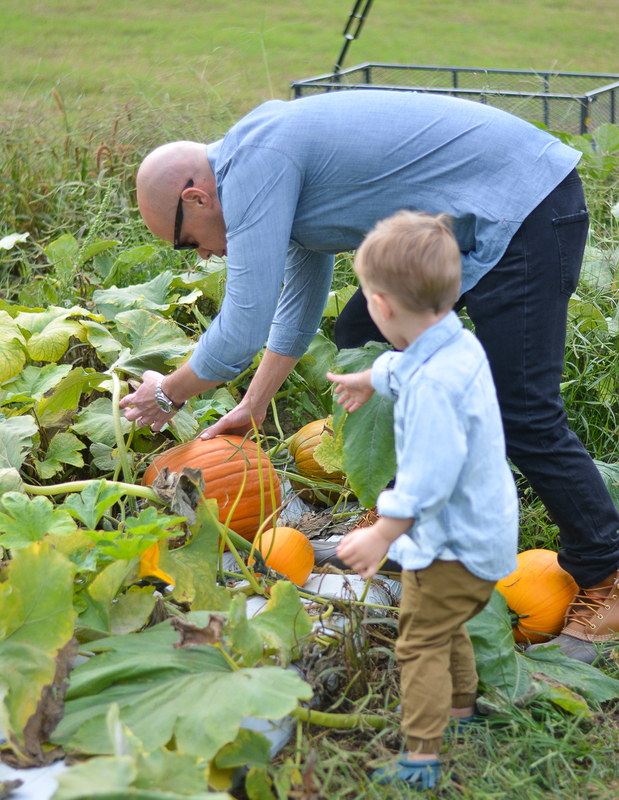 He selected his own pumpkins and also made solid attempts to help David pull them out of the patch. He could have walked around all day long. 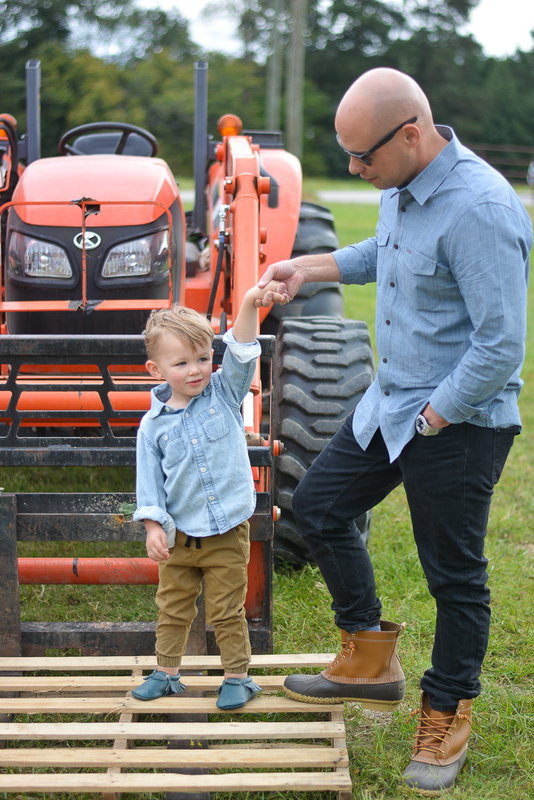 The only way we were able to pull him away was by telling him that it was almost time for our hay ride. This proved to be the winning activity of the day. 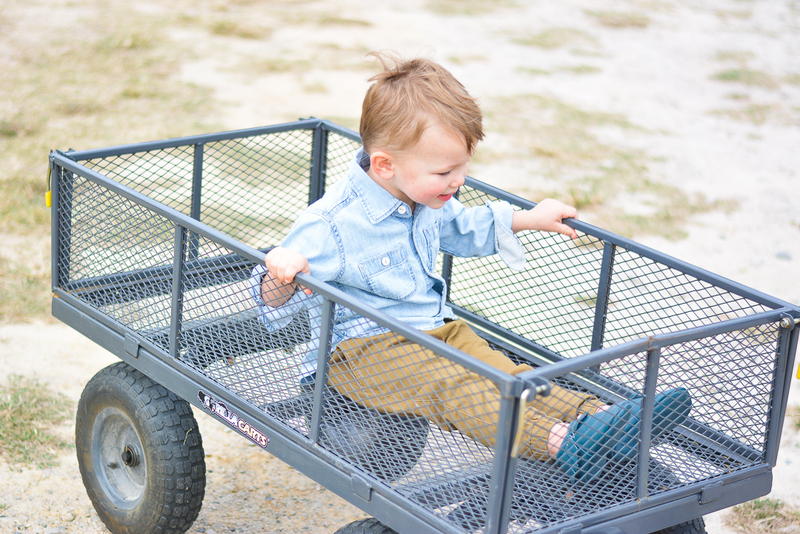 The fact that my truck-obsessed kid was able to ride in the back while a tractor pulled him was golden. It really was a pretty magical morning, all in all. 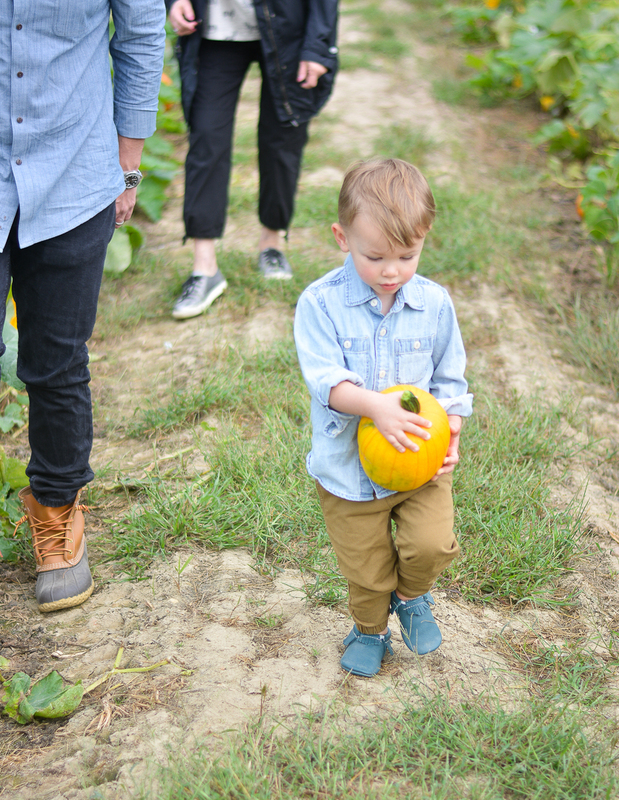 We ended up at the Farmer’s Market this past Sunday to hunt for some white pumpkins. 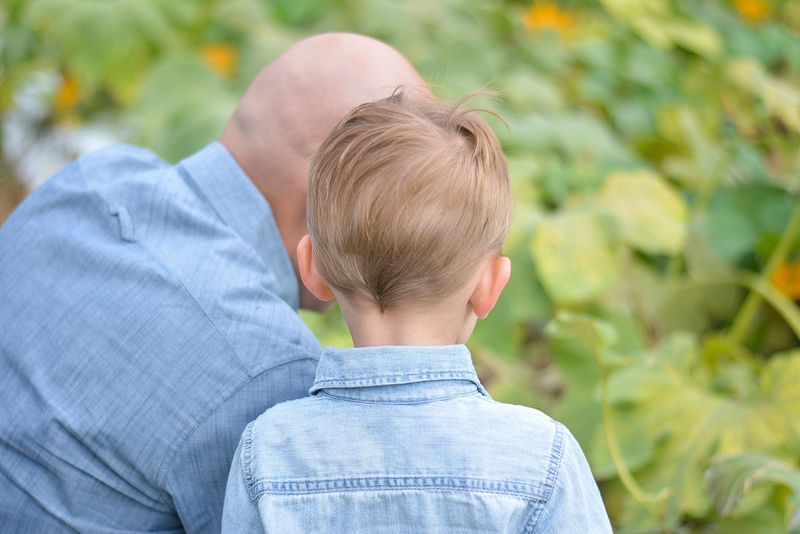 Ryan had overheard me tell David that I would love a few white pumpkins for our front porch and so he began telling us that he “needed” a white pumpkin. We got out of the car at the farmer’s market and he spotted the massive amounts of pumpkins and literally began to skip-run. Thankfully, the trip to the farmer’s marker (aka. no entrance fee) proved to be a far less expensive way to bring some pumpkins home. 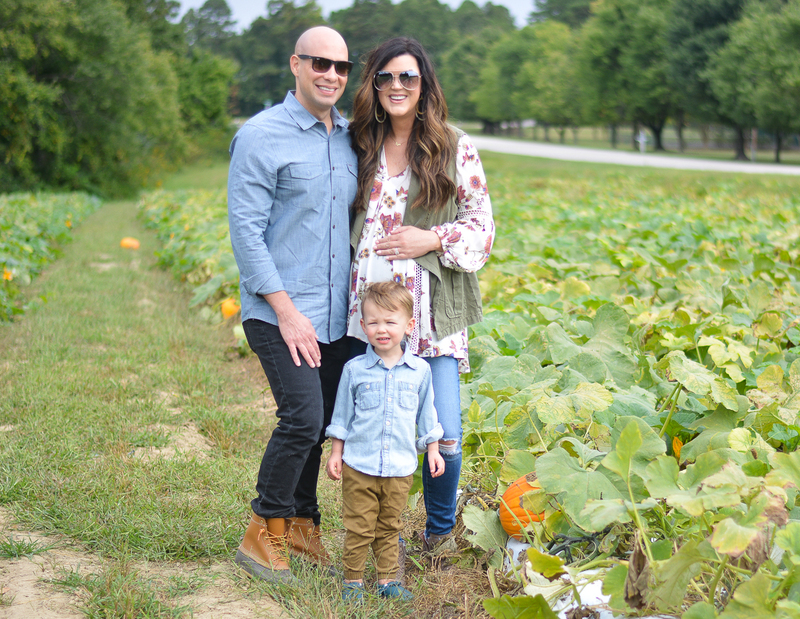 This Saturday, we are heading with my family to The Museum of Life & Science in Durham for their annual Pumpkin Patch Express. 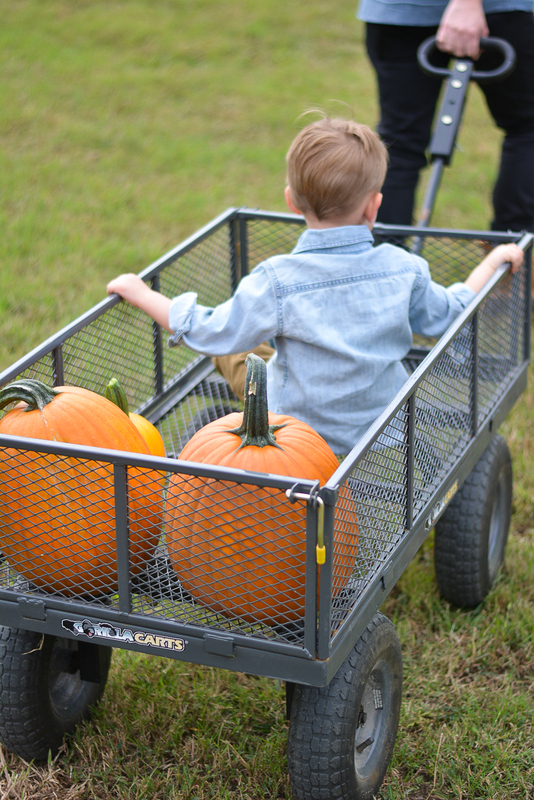 Basically, you ride the train there and at the end there are activities…and a makeshift pumpkin patch. I’m pretty sure that our front steps are going to crack from the weight of all of these pumpkins. I wish that I could say that the ones from the museum will need to be the last ones that make their way to our house but my nieces have the day off of school next Monday and so will are planning on heading back to Upchurch Farm one final time. My sister-in-law made me feel better (about the amount of pumpkins we are accumulating) by saying that it’s not like we are going to Target repeatedly and buying toys. 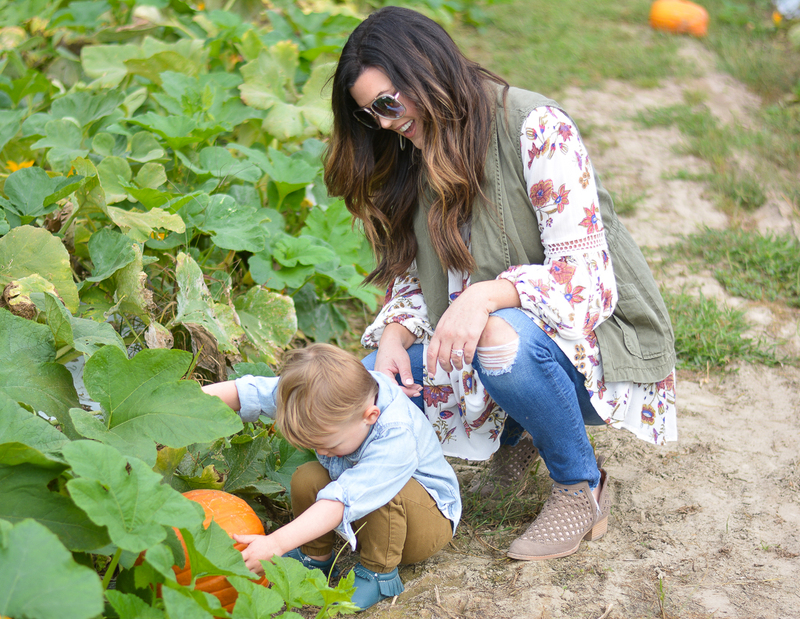 This is such a wonderful activity for Ryan and she reassure me that allowing him to hunt for pumpkins isn’t the same as spoiling him with plastic objects. 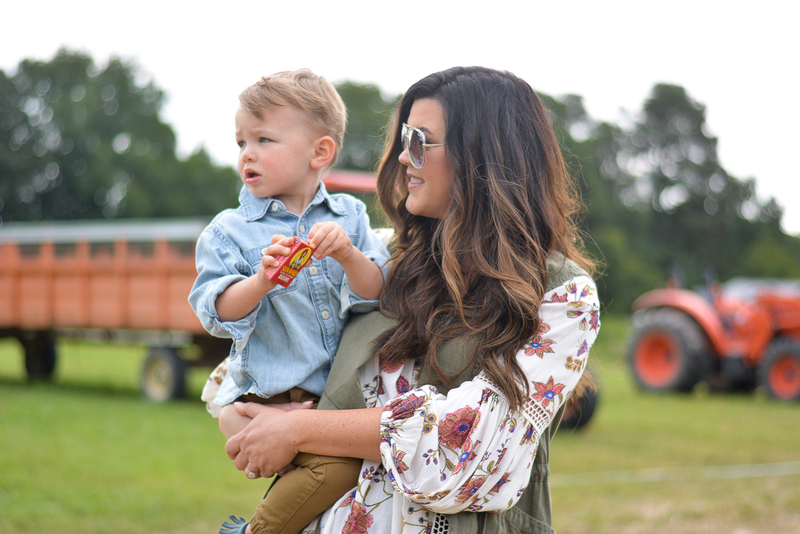 Here are some pictures of our time at Unchurch Farm…crazy to believe that we will have two littles in these pictures next fall! Hope you all have beautiful day!